The intention of this article is to explain the Polyvagal Theory, and to relate it to the Windhorse approach. This theory was developed by Stephen Porges, and has great relevance to “basic attendance” and Windhorse, which puts meaningful relationships as the basis of healing from extreme states of mind. Polyvagal Theory is a tool for working with trauma as well as a tool for understanding social connection and communication in general. This Fall, Deb Dana, a colleague and co-author with Porges, conducted an experiential training for Windhorse staff to learn about this approach. Our autonomic nervous system is all about safety. Polyvagal Theory offers precise science to understanding how the vagus nerve, one part of this system, which connects the brain, to the heart, to the viscera (the organs of the belly), relates to our human ability to connect and communicate with each other. Learning about the vagus nerve allows us to understand our coherent human nervous system and how it predictably relates to stimuli it encounters as varying degrees of safety and danger. This important nerve is aptly named by the latin root of “vagus,” which means “wander,” because of the far reaching connection it has throughout the body. Previous theories explained that the parasympathetic nervous system, through the calming effect of the vagus nerve, worked in opposition to the sympathetic nervous system. The sympathetic nervous system energizes us for physical action in times of need by increasing our heart rate and blood pressure, while simultaneously putting other functions like the digestive system on hold. This system enables us to run from a dangerous animal or to act quickly to deal with crisis without having to stop and think about it. This traditional model noted that the parasympathetic nervous system gets us back to normal homeostasis when we are no longer in need of such extreme reaction to a stressor. 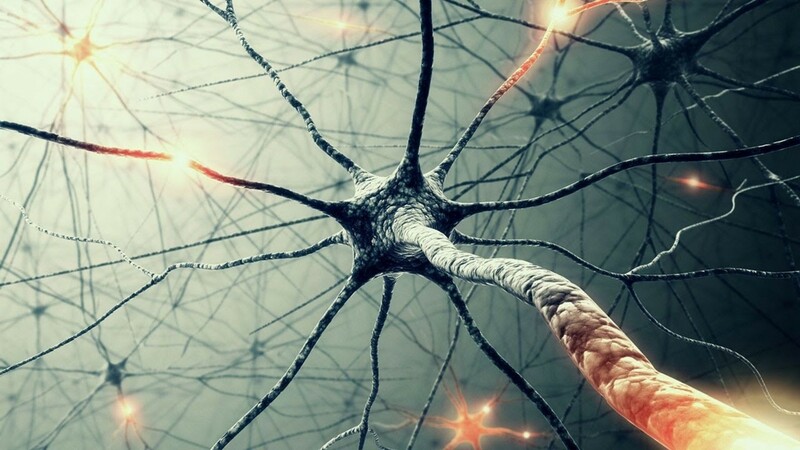 What Porges provides is a more complex scientific understanding of a three-part hierarchical model and how the vagus nerve is directly related to a coherent system of communication and connection within the autonomic system. Polyvagal Theory describes the autonomic nervous system has having three subdivisions that relate to social behavior and connection. The oldest of these subdivisions is the “dorsal vagal,” a part of the parasympathetic nervous system that enables us to shut down, or “freeze” when a situation of danger feels uncontrollable and we are overwhelmed. The second is our sympathetic nervous system, or “fight/flight,” system. And the most evolved and complex of the subdivisions, is our mammalian parasympathetic social communication and social engagement system – the ventral vagus. This is a very complex network of fast, myelinated neural fibers originating in the brainstem that dictates our heart rate, breathing, hearing, facial muscles, and vocalizing. Polyvagal Theory is hierarchical, meaning that all three of these subdivisions follow a natural order depending on the neuroception of safety or danger in the situation. If the environment is detected as safe, we are free to use the ventral vagal social engagement system, which means we are relatively free be ourselves, express our own feelings, use facial expression easily, and use a modulated voice pattern. Also, our heart rate is relatively calm, we breathe freely, and we filter out human language from background noise. Whereas, if we are not detecting the environment as safe, we fall into a fight or flight, survival mode (this is the aforementioned “sympathetic nervous system” taking over). And if that system fails too, and we continue to feel unsafe, we naturally fall back into the freezing or shutting down dorsal vagal mode. In these more primitive modes, much of the aforementioned capacities are turned off, leaving a person with far less ability to relate to the world socially. When it comes to post-traumatic stress, all of these subdivisions are reacting not simply to the immediate safety or danger in their environment, but to an interaction internally between the immediate environment and a sense of triggering activity based on past life events. Therefore, if someone experienced an event in childhood in which they did not feel safe, an event in their present adult life might echo such an experience internally, and this person may fall back on the more primitive neural systems of subconsciously needing to fight off, flee, or shut down in order to survive. Each of us experienced some degree of trauma in our early lives. Whether it was an event that brought a great fear or we felt a deep lack of support in a significant situation, or whether it was a series of events that gave us fear, confusion, or a sense of not being safe. Any of these experiences may have remained in our nervous systems and emerge to add fear to situations later in life that remind our inner system of the danger. Responses within ones’ inner system may be overt or subtle. This is why it can be confusing for a support person, friend, or family member if they are not seeing the internal mechanism happening for the person they are with. They might think the person is reacting too strongly with anger, for example, or perhaps shutting down, to what may seem like fairly safe conditions. Recognizing that the response to the situation is real and valid based on the person’s neuroception is extremely important for a counselor or therapist. Understanding that there is no foundation for blame, that the response is not a conscious decision, helps to not take the reaction personally and contributes to safety. What is helpful for a Basic Attendant of any form (in this broad definition I am including any therapist, counselor, housemate, nurse, mentor, friend, family member, or any other caring person in contact with someone in a mental health struggle) is to notice what seems to actually be happening for this individual with whom they are interacting, and appreciate the need for cultivating safety in the environment, including using their own facial expressions, vocal prosody, and even subtle movements. Also, in doing this, it is helpful to notice what seems to be happening in one’s own body and nervous system as one is in contact with the person needing support. A key to the Windhorse work is cultivating an environment that is as safe as possible, and having interpersonal exchange within that environment. The social world and so much of what we encounter in our daily lives is affecting our nervous system, and in varying degrees it can be anxiety-producing or outright scary. At Windhorse, we want folks to be more engaged in their lives and be capable of, and interested in taking the risks of living in the world with others. We want to build a sense of safety so that risks can be taken and edges of growth can be tolerated. From a polyvagal perspective, the autonomic nervous system is the foundation upon which all lived experience exists. It explains how we move through engaging with the world (of activity and of interactions with people) through connecting, disconnecting, and attuning. Each of us experiences shame in some moments. Many folks seeking mental health services have struggled with school, or had to leave their school, or struggled with jobs, with relationships, etc. And unfortunately, society gives the message directly or indirectly that they have failed. Our mental health and education system often uses terms like “failure to launch” for young people who are deemed to have not realized their potential. Deb Dana says, “we come into this world wired to connect.” What Polyvagal Theory is helping us to see, through scientific understanding of how the autonomic nervous system works, is how our innate drive to survive in the often challenging predicaments of our lives can interact with our innate longing to connect with others. Each of us has more capacity to engage socially when our nervous system feels safe, and contrastingly we have more need to fight, flee, or freeze when our nervous system is sensing danger. “Basic Attendance” at Windhorse, is potentially a path to learning safety and learning more about ones’ mind as it interacts with the outside world. A challenge of the practice of basic attendance is that as these one-on-one interactions occur, habitual patterns of fighting, fleeing, and freezing may naturally emerge in the relationship. These are the complex edges of tolerance that need to be supported so that one can learn and grow from them. On one hand, an individual may not be able to shift stuck habit patterns if they avoid environments and people with whom we have any discomfort. And on the other hand, one also needs to remain relatively safe and not simply throw oneself so far outside their comfort zone that their nervous system becomes activated and can only remain in fight, flight, or freezing modes. 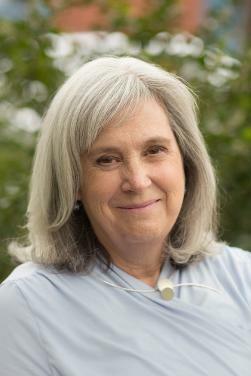 As Deb Dana notes, “Polyvagal Theory offers a roadmap to work with autonomic activation and build regulation and resilience.” If we understand how to read this roadmap, and make it more of our habit as people in service of others and ourselves, to build safety in our interactions, we may likely be contributing to cultivating less shame and instability in our world. Some of the community integrating healing benefits of this may be a feeling of connection, safety with vulnerability, having flexible options in times of stress, consciously communicating, and a greater capacity to authentically receive and offer love.